More than 1 million books sold in the Practice Makes Perfect series! Learn Italian in bite-sized lessons! 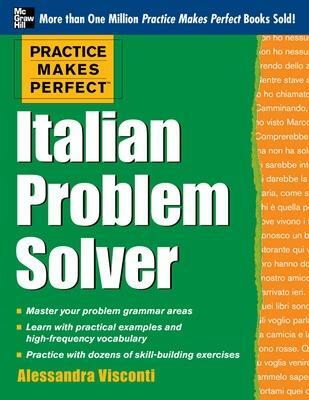 The key to Practice Makes Perfect: Basic Italian is how manageable the grammar and vocabulary are presented to you. You're not overwhelmed by it all! Supported by engaging exercises, these 50 units cover all aspects of grammar and vocabulary, giving you a solid foundation in the language. Each unit is three pages in length, and you can expect to be completed with each in 10 to 15 minutes. 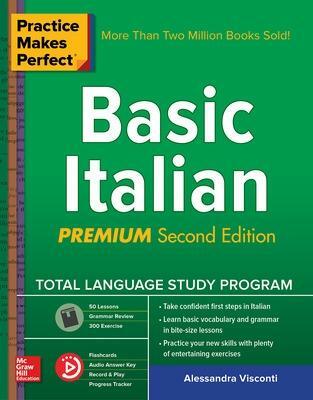 Buy Practice Makes Perfect Basic Italian by Alessandra Visconti from Australia's Online Independent Bookstore, Boomerang Books. Alessandra Visconti (Chicago, IL) is a lecturer of Italian at Northwestern University. She has taught at Sarah Lawrence College and the University of Illinois at Chicago, where she received an MA in Applied Linguistics.